Most people get stuck in a reading rut. They have read all of the books by their favorite author and now they don’t know what to read next. Sometimes a friend recommends a good book to you and that keeps you from being stuck in a rut too long. But sometimes you want a book now and you have no one to ask. May I suggest a website. A wonderful website that thousands of people love. It is called Fantastic Fiction. Fantastic Fiction began in 1999 as a hobby for Dave Wands of the UK. The website grew and in 2004, Wands resigned from his job and formed the website company. Now there is a small team of family and friends that works hard to keep the information accurate and current. There are not enough words to express my gratitude to these people! Fantastic Fiction is a website that keeps track of books and authors. If you are wondering if your favorite author will be publishing a book soon, you can find that information on the website. If you do not know the order of the books in a series, Fantastic Fiction can help you with that. I always turn to this website first when I am looking for a book in a series, even over an author’s webpage. Fantastic Fiction always has the series listed and publication dates. It is very useful when you are looking up an author that writes books in different series (and there are a lot of authors that do!). While having a website that lists books and authors is pretty great, the best features of Fantastic Fiction have not been mentioned yet. There are other features of Fantastic Fiction will help you find other books to read. 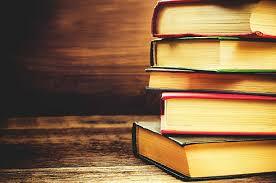 First, you will see a section of books that an author recommends. For example, if you were on James Patterson’s webpage, you will see that he recommended Crimson Lake by Candice Fox. So if you enjoy reading James Patterson’s books, you might like to read a book by Candice Lake. Also, some of the books that he recommended are part of a series. So you may discover a new author and a new series to love. Another feature on each author’s webpage is a section that lists other authors that are similar to the author that you are looking at. On James Patterson’s page, other authors that are listed include David Baldacci, Lee Child and Michael Connelly. This section is a great tool for finding a new author that you may like based on your reading preferences. And if you are still stuck, you can check out the top authors and popular books pages. I hope that you check out Fantastic Fiction. It has a lot of useful information. And the author bios can be quite interesting and the author pictures can be amusing! Fantastic Fiction has a lot to offer so stop by and visit their page.